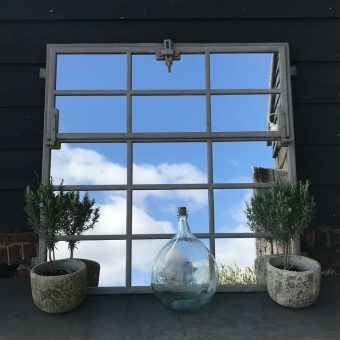 Please scroll down to see more information on our ornate french foxed antique mirror. 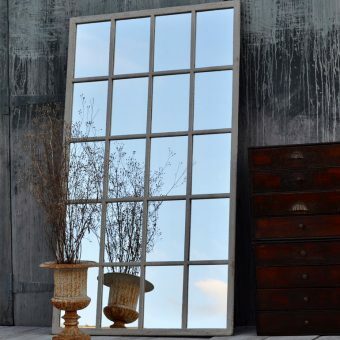 This beautiful late 1800’s french mirror is a perfect addition to your country home. 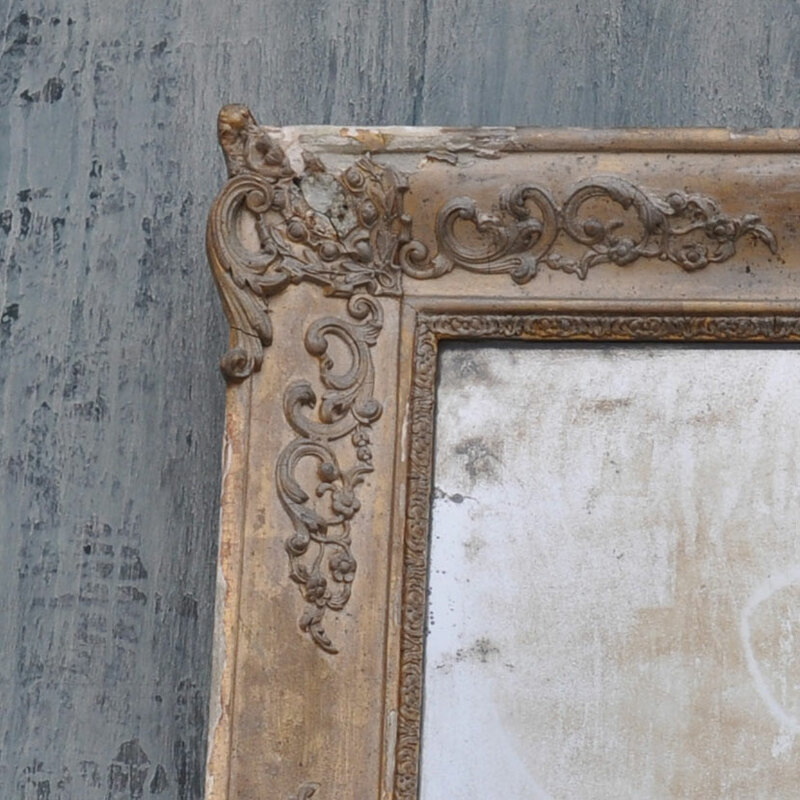 The original decorative gold paint and lovely plaster moldings on this ornate french foxed antique mirror are slightly damaged in places, as it would have been used over many years. We feel this gives it a depth of character and shows it to be an original. 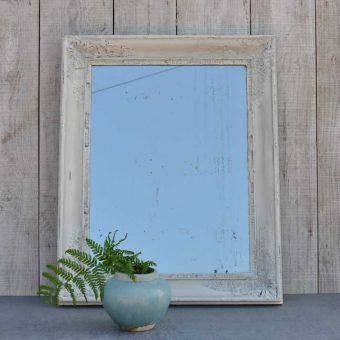 Although lovely, this original ornate french foxed antique mirror is not perfect, it is heavily foxed and has age related marks to the rear of the mirror plate. 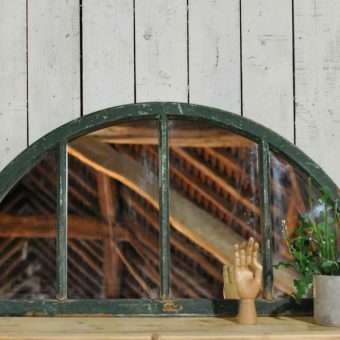 Some of the oak boards to the back of the mirror are missing and would need to be replaced. If you have any queries regarding this item, please contact our office and we will be happy to answer your questions. 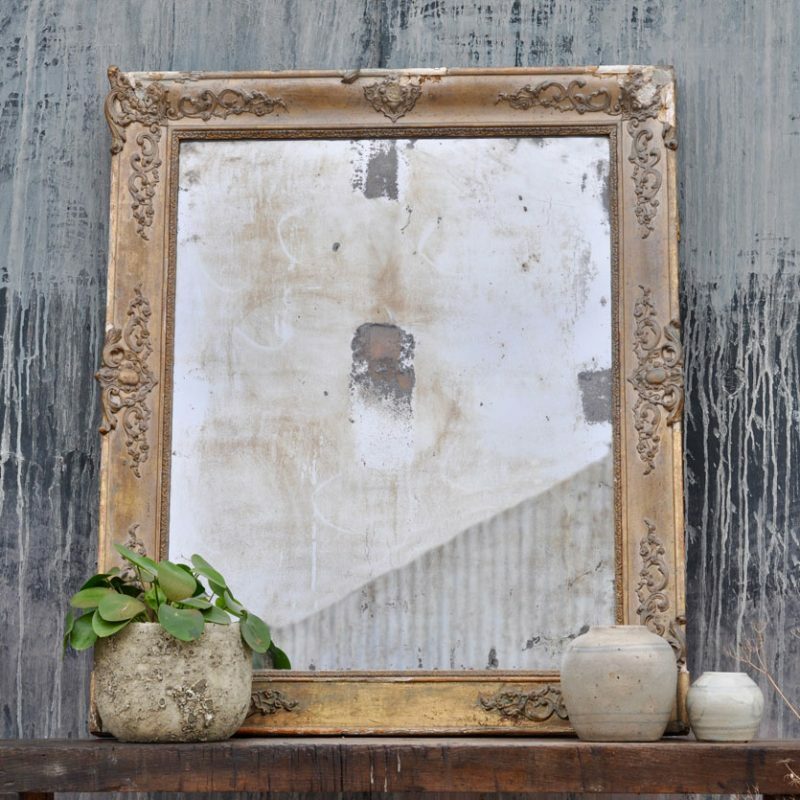 SKU: Dark gold/ big mark in middle Tags: antique, antique mirror, country home, gold, mirror, ornate, plaster molding, vintage.